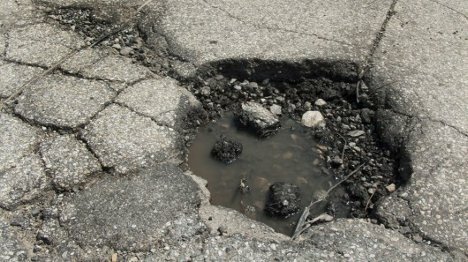 In climates where the transition from winter to spring involves dramatic temperature changes, potholes are a familiar feature of roads. They aren’t just annoying, though – potholes can cause serious damage to cars. A group of college students in Ohio has come up with a simple and brilliant way to fill potholes temporarily until crews can patch them permanently. The idea makes use of a non-Newtonian fluid: a mixture that is liquid under normal conditions but which stiffens up instantly when force is applied to it. Although the group is not releasing its specific recipe pending a patent application, the mixture likely contains cornstarch and water. The mixture is simple, inexpensive, biodegradable and even edible. The plan involves placing the non-Newtonian fluid into heavy-duty plastic bags, throwing the bags into potholes, and then covering them with black material so that drivers don’t mistake them for obstacles. As cars drive over the bags, the fluid inside stiffens up and lets the vehicles pass without the familiar jarring. 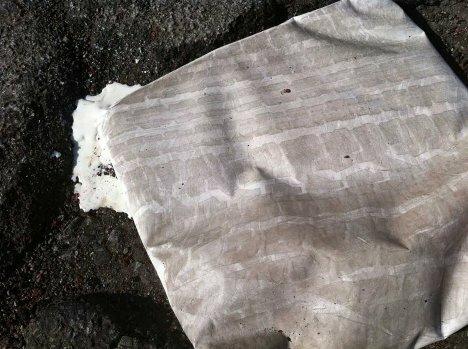 The bags are not meant as a permanent solution, but they could help prevent damage to vehicles just long enough to allow crews to get out there with some hot asphalt.